This can be good at any time for big Rainbow, but I find it outstanding at the start of the season. Tail : Olive marabou and a few strands of flashabau. Trim the spun deer hair to the required shape. 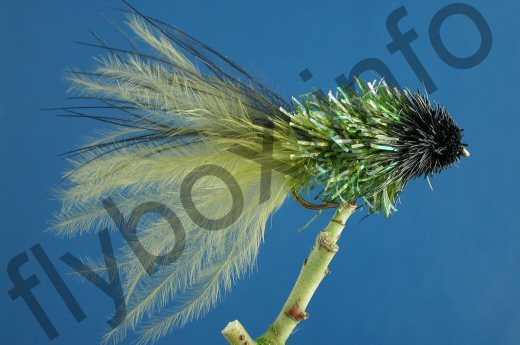 Currently there are no comments about the Cactus Muddler fly pattern from other fly fishermen yet.